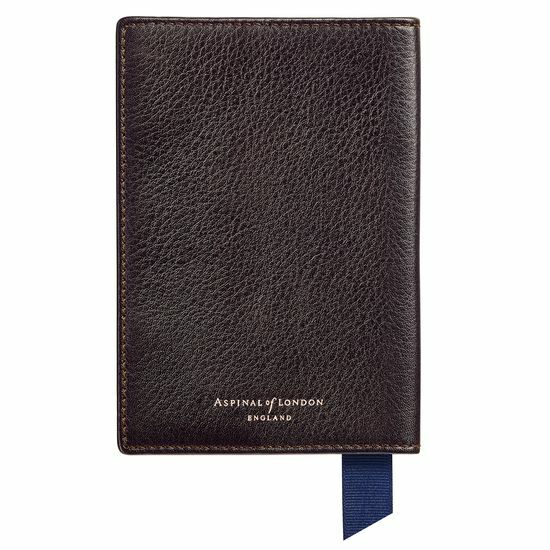 Our Aerodrome Passport Cover perfectly balances contemporary style with a masculine, utilitarian aesthetic. 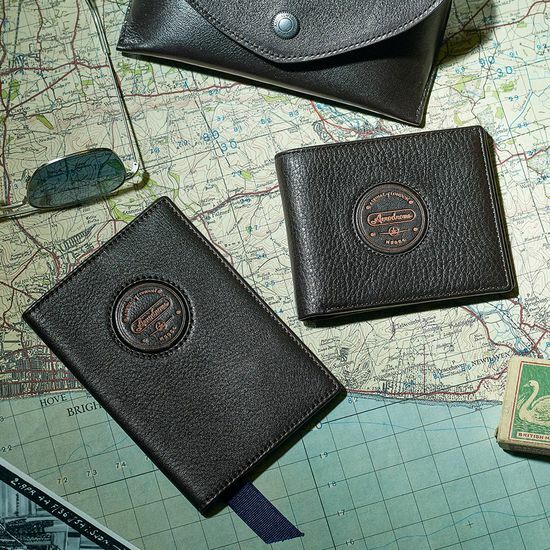 It is part of our exclusive collection created in collaboration with British model David Gandy, taking inspiration from the heroics of the legendary WWII Spitfire. 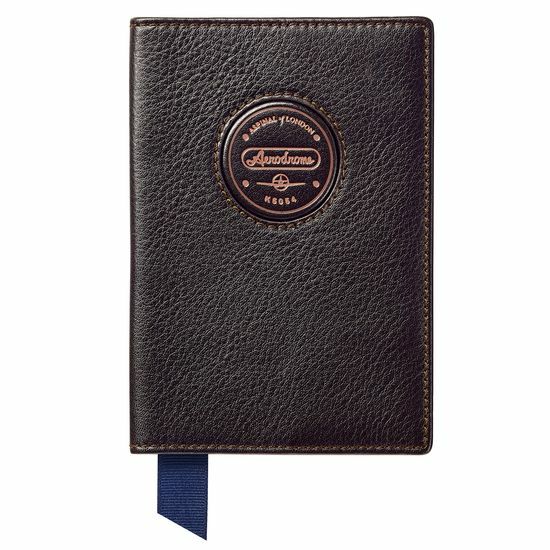 This is made stylishly evident in the military-influenced Aerodrome K5054 signature leather badge and the supremely soft dark brown Italian calf leather, with a pebble textured finish inspired by the grain of traditional pilot's jackets. 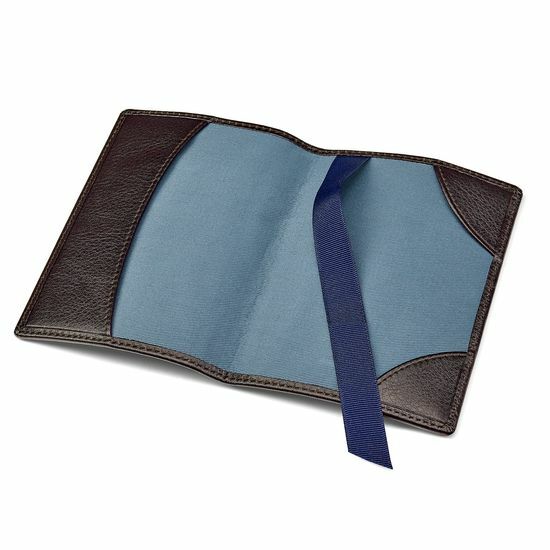 The interior is fully lined with Air Force blue fabric and features a slip-in pocket to hold your boarding pass, as well as a navy grosgrain ribbon page marker. Personalise yours with up to four initials to create a timeless gift.